Here we have put together a list of baby needs that every mother should know about– no wipe warmers, no bottle cleaning systems, no super-absurd, marketing hype items to make you crazy or to make your diaper bag too heavy to carry- here are the true essentials for a newborn (and even this list is excessive)! Infant bath sponge - no need for those huge plastic tubs- this lies right in the bottom of your tub, doesn`t make the baby slip and is nice and cozy for them. Washcloths & cloth diapers to throw over your shoulder to keep YOU dry. If you need a pack-n-play, get an extra mattress - those things are awful for little people – they are sooo hard – I don`t know how they ever fall asleep in them! Pacifiers and pacifier holders – they may be a lifesaver. Just a thought too — you can throw a pacifier away, you can’t get rid of their thumb– go with a pacifier! Soothing vapor baby bath - great for late nights with their first stuffy nose – a life saver to keep in medicine chest at all times. An activity mat for the floor – I can`t say enough how important it will become for you to have a child that plays ALONE for any period of time– get them used to it from the start– put the baby down! Angelic Genius is the brand for the always growing number of hip, stylish, active new parents, or anybody who is simply tired of the plain, cute, or full-of-frills look that typical infant clothing is about. For the smart mom, the sharp dad, and the cool best friend looking for a gift, Angelic Genius is the perfect fit. Visit www.angelicgenius.com to make your order! 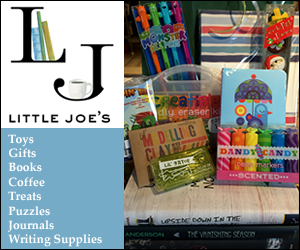 Carefully crafted children’s books and gifts is what Barefoot Books is about. Our products help children on their journey to becoming happy, engaged members of the global community. Barefoot Books uses timeless stories and captivating illustrations to encourage exploration and creativity. We have books for infants and up. Please visit www.ms.brown.barefootbooks.com. Use ambassador referral code 000-1elr when making a purchase. How about hosting a party? Share our beautiful books in your home with friends and family and you’ll earn free gifts. Looking to start a home-based business? For these and other opportunities contact La-Sheila at ms.brown.barefootbooks@gmail.com. Chabad Preschool is a place where young children receive a warm and enriching preschool experience providing them with the foundation to grow socially, emotionally and intellectually. Our preschool center is a place where a child’s sense of wonder is cultivated. Their curiosity and desire to explore the world around them and our Jewish traditions is encouraged and supported. They are inspired to seek answers to their questions and weave together stories that explain the world around them and their purpose in this world. Children experience weekly visits by specialist who teach yoga, gymnastics, music, art and gardening. Classes are located at the Chabad Jewish Center at 133 Railroad Ave. in Bedford Hills. For more information go to www.ChabadBedford.com or call 914-666-6065.